Sam Diehl provides advice to help employers navigate complex employment law matters. He also represents commercial and non-profit clients in a broad spectrum of disputes and litigation. Sam has achieved successful outcomes for clients in disputes related to: trade secrets, non-competition and other restrictive covenants; injunctions; contract matters; discrimination and whistleblower claims; administrative charges and government investigations; zoning and land use; and constitutional claims. 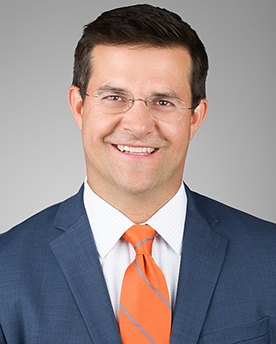 Sam regularly advises clients ranging from small businesses to multi-national organizations who rely on his depth of experience and ability to defend their interests when necessary. He has particular experience with commercial clients in the franchise, health and long-term care, food and agriculture, and engineering industries. Sam regularly advises employers regarding difficult termination and discipline issues, hiring, leaves and accommodations, and wage and hour issues. He also helps companies navigate employment law issues that accompany corporate mergers and acquisitions. Sam has handled numerous internal investigations for heavily regulated institutions and employers facing allegations of harassment, discrimination, and other serious concerns. He also regularly drafts and negotiates employment agreements for executives and key employees and trains managers and employees on compliance with employment laws. In addition to commercial clients, Sam regularly represents colleges and universities, religious organizations, and other non-profit organizations. He has substantial experience representing churches and other religious organizations in employment matters, sensitive investigations, land use, constitutional claims, and other matters. Sam has defended colleges and universities in litigation brought by students and employees, and he has investigated student, employee, and leadership misconduct. He has also worked with federal agencies to resolve disputes related to federal financial aid and other issues. Sam's work with government agencies is informed by his significant work experience in Washington, D.C. where he was as a subcommittee staff director for the U.S. House Committee on Agriculture, an appointee at the U.S. Department of Labor, and a legislative staff member in the U.S. House of Representatives.